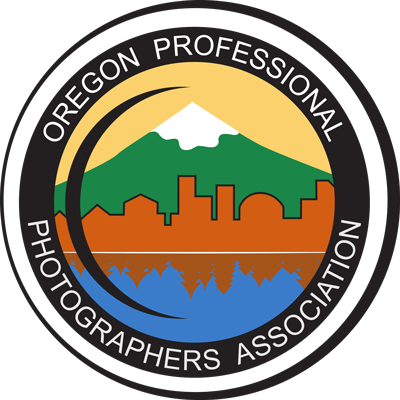 OPPA is run entirely by volunteers; the organization is led by a Board of Directors elected annually in the fall to serve for the calendar year. Here's an overview of the officer and director positions, along with examples of tasks that each oversees. We have lots of volunteer opportunities, with varying levels of time commitment or expectations. If you see a way in which you might be able to help make OPPA great for all of our members, either contact the director for the particular committee or contact the OPPA President. The President is responsible for providing leadership to the Association and the Board. The President presides over meetings of the Board of Directors, the Executive Committee and the Annual Membership Meeting. The President serves as ex-officio member of all committees. The Vice-President provides assistance and support to the President. The Vice-President serves as a member of the Board of Directors and the Executive Committee. In the absence of the President, the Vice-President acts as the presiding officer for meetings of the Board of Directors, the Executive Committee or the general membership. The Vice-President chairs the Internal Audit committee. The Secretary is responsible for maintaining appropriate records (minutes) of all official Association meetings, including meetings of the Board of Directors and General Membership meetings. The Secretary maintains the Association files and records of official correspondence. The Secretary shares administrative functions of the Board and Executive Committee with the Treasurer. The Treasurer administers the fiscal operation of the Association. This includes insuring that the Annual Budget Proposal is prepared and presented to the Board of Directors. The Treasurer serves on the Executive Committee. In collaboration with the Secretary, the Treasurer provides administrative support for the Association. Volunteer opportunities: assist with entering data into the organization's online bookkeeping system. This Director chairs the Bylaws and Ethics Standing Committee. This position reviews the Association Bylaws and Policies for relevancy. Recommendations and proposals for modification and amendments are brought to the Board from time-to-time. The Director for Bylaws and Ethics manages the handling of complaints against OPPA members, insuring that the Association policies and procedures are followed. This position manages the membership information database for OPPA. This includes maintaining current membership information on the Association website. The Director of Membership identifies potential members and introduces them to the benefits of OPPA membership. This Director designs and implements a comprehensive membership expansion program. In collaboration with the Board of Directors, a comprehensive plan is developed for OPPA training opportunities. This Director plans and manages the presentation of at least two educational workshops for OPPA during the year (although we typically have many more workshops than the minimum). The Workshops Director serves as the chair of the Education Committee. In collaboration with the Director of Workshops and the Board of Directors, photo safari opportunities are planned for members throughout the year. This role also plans and facilitates the Association social events and activities throughout the year. This includes, and is not limited to, a summer social gathering and a year-end member appreciation/awards banquet. The Social Director chairs and facilitates the work of the Social Committee. The Director for Monthly Meetings, in collaboration with other Directors and the Board, plans and manages the eleven monthly meeting events. This Director serves on the Education committee. In collaboration with the Director of Workshops and the Director of Safaris/Social, develops a comprehensive training plan for the year. Serving as Chair of the Awards Committee, this director develops and manages a comprehensive awards and recognition / degree program for the Association. This director also maintains the merit program for the association. In collaboration with the Director of Social Activities, this Director plans and manages the awards and recognition portion of the Annual Awards Banquet. Serving as Chair of Competition Committee, this Director plans and manages the image competitions. This Director also works with Awards chair to develop and manage the image competition awards for the Association. In collaboration with the Director of Social Activities and Awards Chair, this Director helps to plan the awards and recognition portion of the Annual Awards Banquet. The Juror Oversight committee is responsible for securing judges for OPPA image competitions and ensuring that those judges are properly trained, including periodic "refresher" training for established judges. The Juror Oversight committee develops and administers OPPA's Juror Development Program. The Marketing Director oversees the marketing committee, which is tasked with forming a growth and messaging strategy for the organization. The marketing committee meets periodically to plan the organization's messaging and identify how to best market ourselves to potential and existing members. The Director of Communications develops and manages a comprehensive communication program, designed to communicate the identity and create a positive image of OPPA. This role works closely with the Marketing director and committee. Using a variety of communication media, the Director of communications provides the membership and general public with information about the Association. Within the first three months of each year, the Vice President heads an Internal Audit committee to review OPPA's financial records and other organizational documents. The audit committee searches for any discrepancies between OPPA records and those of financial institutions as well as ensures that we're complying with our financial policies and bylaws. This committee does not include the Treasurer, President, or anyone routinely performing financial duties for the organization. The Internal Audit committee compiles their findings into an audit report to be presented to the board of directors. Volunteer opportunities: assist on the committee to review financial records and ensure policy and bylaw compliance. This is a short-term opportunity; the work of the committee generally is completed in a month or less.